Los Alamitos, CA – (May 2018) – Frieda’s Specialty Produce is set to make its debut at the West Coast Produce Expo on May 12 in Palm Desert, California, featuring its traffic-stopping two-tier display unit and a line of tropical fruits to gear up for summer. The two-tier display unit is perfect to draw attention in limited space. The colorful design appeals to shoppers’ curiosity, and the compact size is perfect for a specialty program. 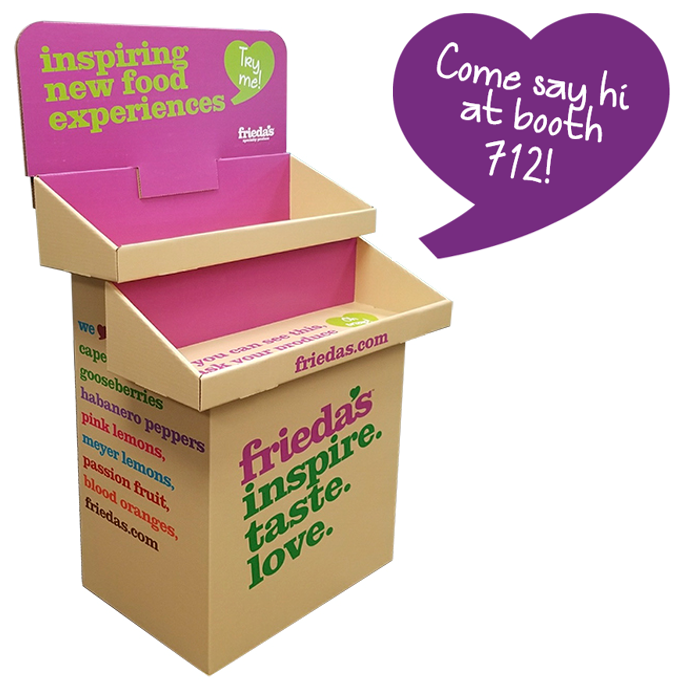 Stop by booth 712 to chat with Frieda’s team about fresh, new ideas for your specialty produce program.